Where do I use my Just Go Holidays voucher code? Copy a code from our website and follow the link to the Just Go Holidays website. Here, choose your holiday type, view the details and ‘Book now’. Fill in all the required fields and details on the six information pages. When you come to the ‘Payment’ part on the 7th page you’ll see ‘To receive your discount please enter the code here. If you have been asked to 'Quote' a code from a mailing this is where to apply it’ and a box. Paste your code into the box and click ‘Apply Code’ to redeem your savings on your holiday booking. Looking to travel in the next month? Just Go Holidays late deals section has all the limited availability coach holidays." Just Go Holidays have been established for over 17 years and have since then been specialising in great quality coach holidays - due to their long industry experience and negotiating with suppliers, they can bring the very best prices for their customers. Just Go Coach Holidays provide a vast range of excursions and holidays all over Britain and beyond, they have over 450 local pickup points so you'll never be out of reach for a fantastic coach holiday. If you're looking for 2019 Just Go Holidays then take a look at their online site where there are hundreds of new deals on stunning destinations for 2019 You can browse the complete holiday collection, cruise breaks, festive air holidays, National Trust Breaks and HHA Tours. Travel across the UK and Europe with Just Go Holidays and discover wonderful attractions, breathtaking sites and fabulous culture. Find a bunch of new deals and offers for the new year and start your year out right with a lovely and affordable holiday with Just Go Holidays. We all love a bargain - it makes a holiday more enjoyable knowing you haven't spent a fortune. Just Go Holidays know this which is why they have a variety of great Special Offers to help you spend less on your break. 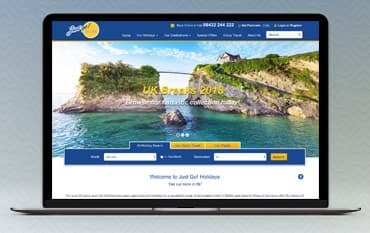 To make sure that you get all the best special offers first, sign-up to email newsletters from Just Go Holidays to receive regular updates, up-to-date news, promotions and information on the latest product launches. Alternatively, you can browse the deals page at NetVouchercCodes and find a money-saving discount code to help you cut the cost of your Just Go Holiday. There are plenty of Destinations at Just Go Holidays to choose from when booking your getaway. You can choose from serene spots in Great Britain including England, Wales and Scotland, there's also UK Islands like Jersey, Guernsey and the Isle of Man to choose from as well as Ireland and the Republic of Ireland too. If you prefer to head further afield you can travel to Europe where you can visit a range of beautiful destinations such as Austria, Belgium, Czech Republic, France, Germany, Holland, Italy, Spain and Switzerland. Each one of these locations offers different culture, scenery and attractions to admire and enjoy. What time will my pick-up be? On European holidays, pickups will be early morning. How many travellers will be in our group? The maximum amount of people on your coach will be 53. Yes, it is a requirement that you have insurance on your holiday with Just Go Holidays. Yes, all the holidays featured in Just Go Holidays main 2019 brochure will be operated by a modern executive standard coach including a WC onboard. Regular comfort breaks will also be taken. Just Go Holidays have been in the business for over 20 years now, creating and running quality coach holidays. This experience means they can negotiate the best deals with suppliers to provide you with outstanding value holidays. With a Just Go Holidays voucher code you can experience enjoyable excursions to Britain and beyond via coach, air, car or cruise for less. There's a huge list of stunning destinations to choose from as well as group travel and an abundance of special offers which can be found below. We are constantly on the hunt for Voucher Codes for Just Go Holidays to help you with your money saving. Our experts check dozens of sites for secret codes including NHS discounts, student sites & social media channels saving you time & money!